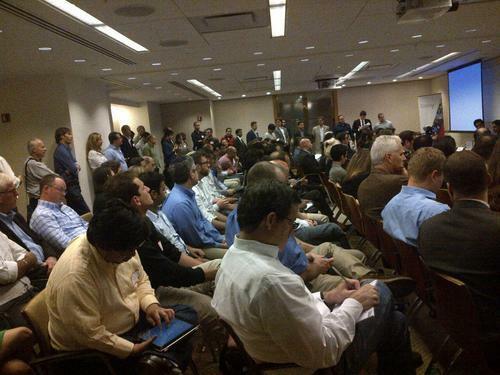 Tonight was the September NY Enterprise Technology Meetup which featured demos by Smartling and Digital Reasoning, as well as an enterprise tech focused VC panel moderated by Steve Rosenbush, Deputy editor of WSJ’s CIO Journal. We had a packed crowd as you can see from the above photo. Check out the summary of tweets from the event. Videos to follow shortly.